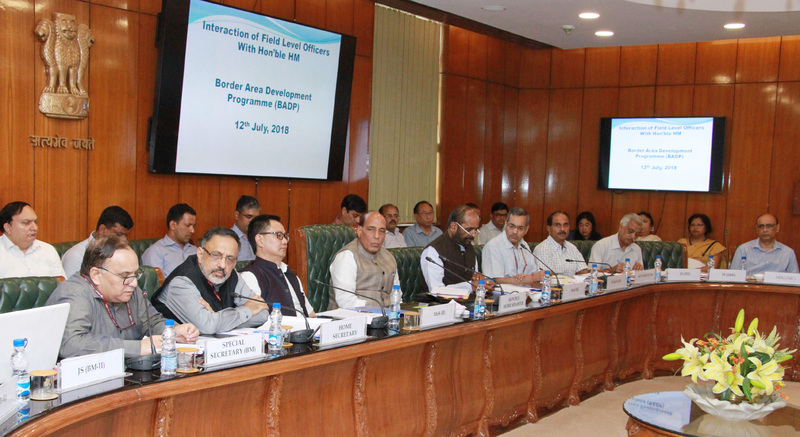 The Union Home Minister, Shri Rajnath Singh chairing an Interaction with the Field Level Officers to review the Border Area Development Programme (BADP), in New Delhi on July 12, 2018. 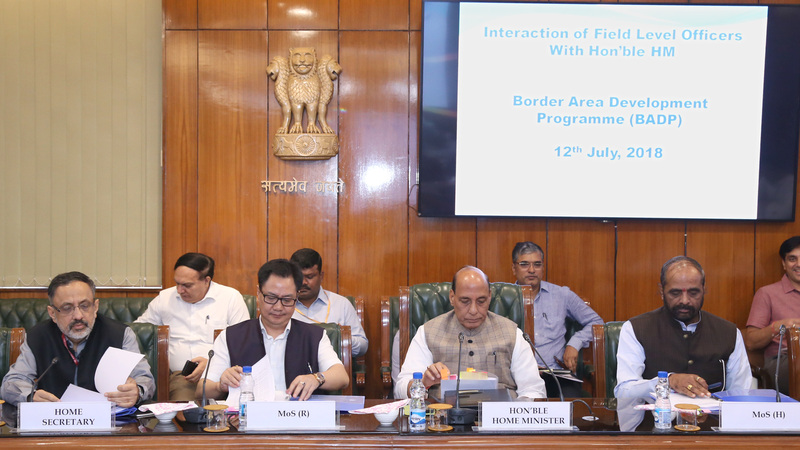 The Ministers of State for Home Affairs, Shri Hansraj Gangaram Ahir and Shri Kiren Rijiju and the Union Home Secretary, Shri Rajiv Gauba and senior officers are also seen. 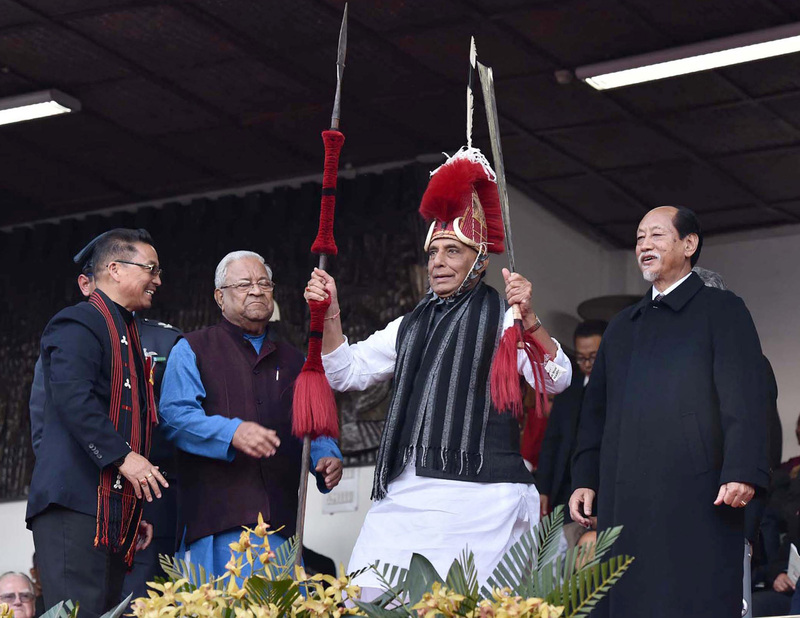 The Ministers of State for Home Affairs, Shri Hansraj Gangaram Ahir and Shri Kiren Rijiju and the Union Home Secretary, Shri Rajiv Gauba are also seen.